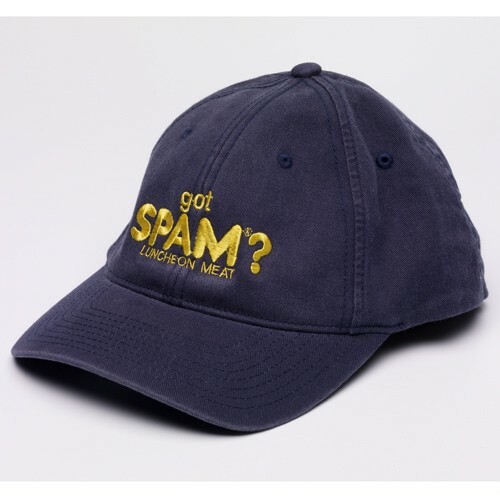 NAVY COTTON FLEX-FIT CAP WITH YELLOW "GOT SPAM®?" LOGO EMBROIDERED ON FRONT AND THE "OFFICIALLY LICENSED SPAM® WEAR" ON BACK. COTTON. STRETCH FIT STYLE. S/M FITS 6-3/4 TO 7-1/4 AND L/XL FITS 7-1/8 TO 7-5/8.